Blackmailers claim in an email to have access to computers and webcams and threaten to publish pictures and videos with sexual content if no ransom is paid. This scam is called fake sextortion and typically requires payment in a crypto currency like bitcoins. The blackmailers send the e-mails untargeted and randomly in the hope that recipients who have watched pornographic material in the past will be frightened by the threat and pay. You may assume that the attackers do not possess any compromising material. The bitcoin addresses contained in the emails can provide clues as to the unknown perpetrators. By forwarding this type of blackmail to reports@stop-sextortion.ch, you will help in supporting the investigations. The emails you report will be treated confidentially and forwarded to the responsible authorities. You can subsequently ignore and delete the email. If you want further investigations to be carried out, in particular if you have suffered financial damage, you must report this to the cantonal police. Do not respond to such e-mails. Should you still use the indicated password somewhere, we urge you to change it immediately. It is recommended to use a separate password for each service and to regularly change your passwords. Other password recommendations can be found on the following link. 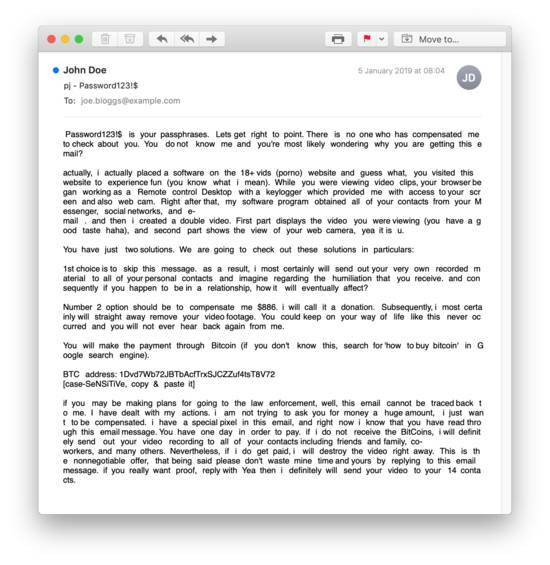 Example of a fake sextortion email. A person you know (e.g. friends) or someone you have met online claims to have own pictures and videos with sexual content of you that the person will publish if no ransom is paid. MELANI - A blackmailer claims to have access to my computer and webcam. 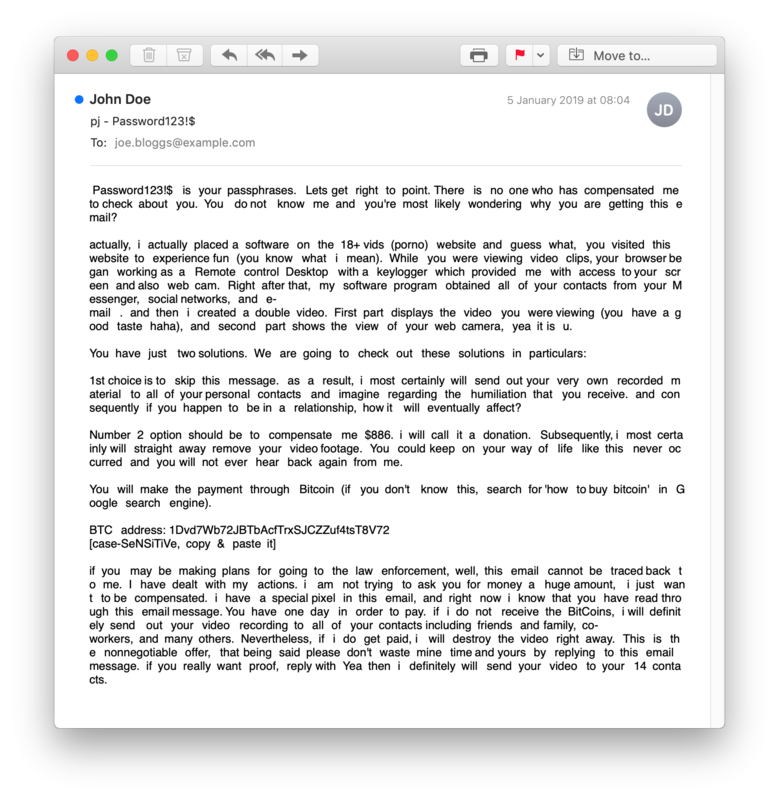 As proof, the attacker provides my password, mobile phone number or other personal data.